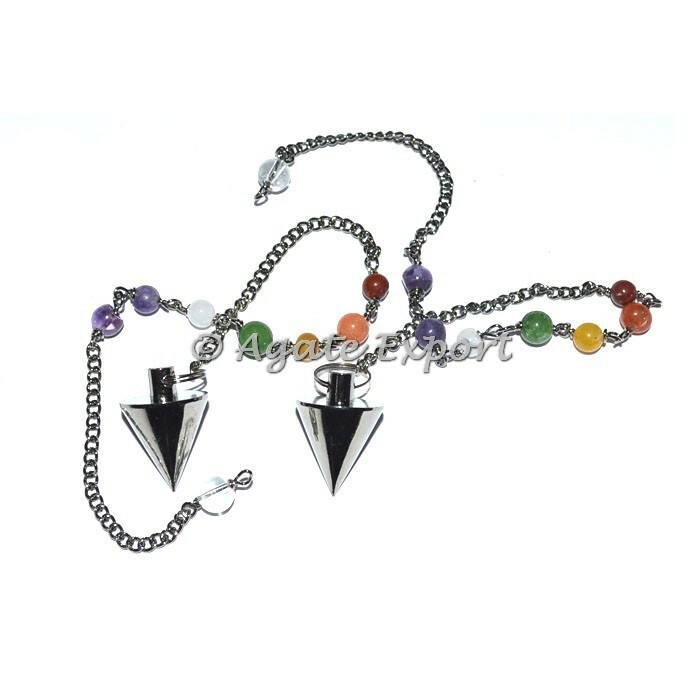 Here is the huge collection of Chakra Chain with Cone Black Metal Pendulums at affordable price only at agate export. It is the available in cone designs and its look amazing when you wearing. It is available in bulk Quantity. Place the order at our online store today.